Now you can practice your ventriloquism skills while you read your favourite book. Click here to download the printable template. Other than that you will need some scissors and some patience to fold the bookmark carefully. 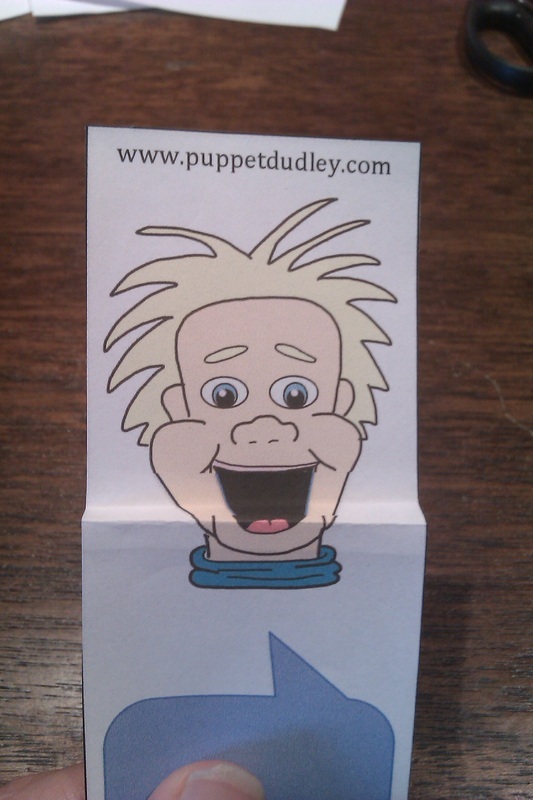 The bookmark print out has a larger than normal mouth for Dudley (Dudley made me promise not to make any jokes about his big mouth when I wrote that! 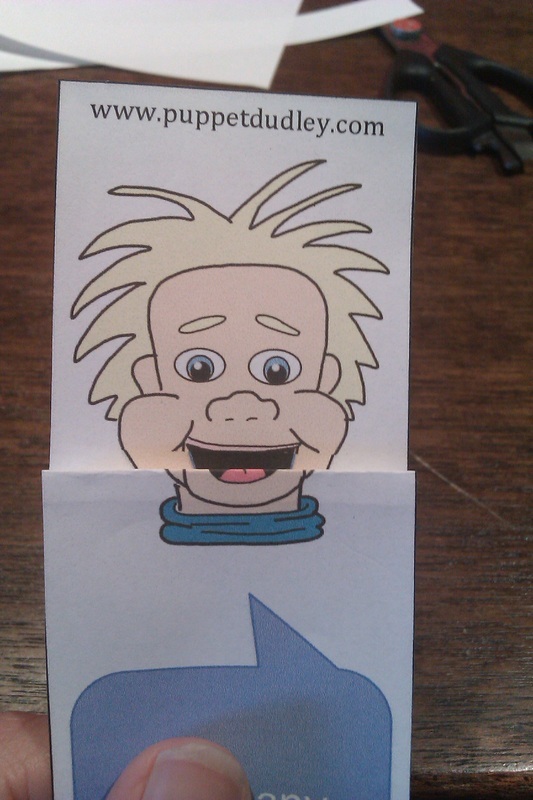 ), so when you fold it correctly you can open and close the mouth as if he is talking. This bookmark puppet would work best on thick paper or light card, but normal paper will do fine if that is all you have.